With the repeal and replace efforts around the Affordable Care Act falling flat in the House and significant tax and regulatory reforms seeming far off into the future the market needs a different catalyst to continue its rally. 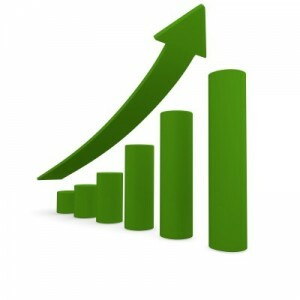 [ad#Google Adsense 336×280-IA] My thoughts are that we will need to see accelerating profit growth from the market. Fortunately, there are good signs on that front. Profit growth is predicted to be 9.1% higher on a year-over-year basis when companies start to report first quarter earnings next week, according to Factset. Usually these estimates are slightly conservative, and I am expecting earnings growth for the first quarter to be just above 10% when things are said and done. This would the fastest growth we have seen since 2011 and sure beats the “profit recession” that was part of the landscape for equity investors in 2015 and 2016. Nor is this profit growth largely the result of job cuts or other efforts to cut operational costs. 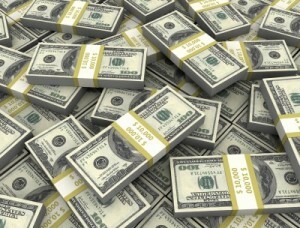 Revenues are expected rise seven percent year-over-year across the S&P 500. Stabilization in prices across the energy and commodity complexes have certainly helped with resuscitating both earnings and revenue growth. 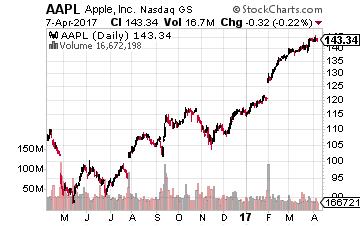 However, a third of the earnings growth this quarter should come from the technology sector as names like Apple (NASDAQ: AAPL) see better earnings prospects. I think growth will be a key theme for the rest of 2017 in the stock market. Here are three growth names I think will do well for the rest of the year. 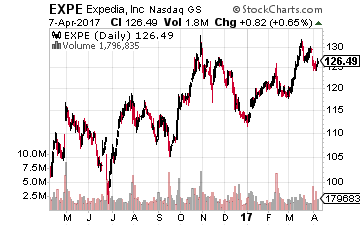 Expedia (NASDAQ: EXPE) does not get the applause or notice from investors that other online juggernauts like Amazon (NASDAQ: AMZN) routinely receive. This is a shame because this is a growth name that should be more widely known and owned. The company consistently delivers both revenue and earnings growth, both organic and via acquisition. More importantly, it is more than reasonably valued given its growth trajectory. The company delivered just less than $4.50 a share of profits in FY2016 and the consensus calls for almost $5.50 a share in earnings this fiscal year. The current expectations for FY2018 is just a tad south of $7.00 a share. The company also consistently delivers revenue growth in the low teens as well. At 18 times next year’s projected profits, that growth can be had for just a slight premium to the overall market multiple. 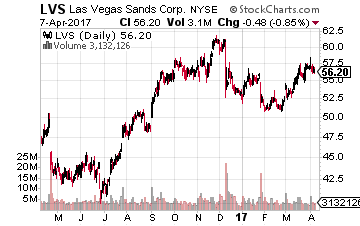 After navigating a very difficult gambling market in Macau for almost two years, prospects are looking up for Las Vegas Sands (NYSE: LVS). The worst appears over for the world’s largest gambling enclave as the Chinese leadership’s crackdown on “corruption” seems to be ebbing as the new regime is now firmly in place. Macau has lodged eight straight months of growth in gaming revenues with the March take up 18% on a year-over-year basis. In addition, another revenue stream came on line for Sands when its 3,000-room resort and casino, the Parisian Macao opened last September. Now that construction is complete and the grand opening was a success, the company’s capital expenditure needs will drop significantly in FY2017 and FY2018. Expect operational cash flow to increase as well. The company is also well-positioned to garner one of the gaming licenses in Japan as the third largest economy in the world is finally moving to open the country to gaming. The shares also yield just north of five percent, making this name a solid combination of long-term growth with a healthy dose of income. 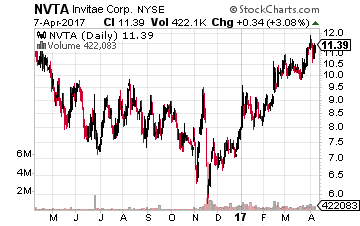 Finally, going much smaller in market cap, we again give a shout out to genetic testing firm Invitae (NASDAQ: NVTA). The stock is up some 60% since I first positively profiled this “off the radar” name in December living up so far to its “Home Run” potential. 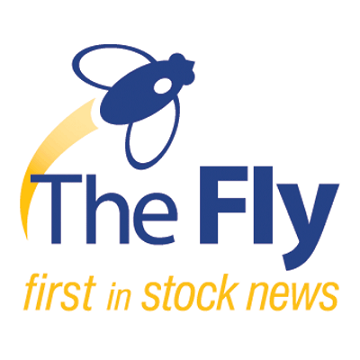 The company continues to execute against its plan to deliver huge revenue growth and get to cash flow positive status within the next year. It is well positioned in the genetic testing market, a space that should more than double over the next five years. Invitae notched a notable win lately when it announced it was partnering with Alnylam Pharmaceuticals (NASDAQ: ALNY) to provide genetic testing for hereditary ATTR amyloidosis, a rare inherited and life-threatening disorder that causes accumulation of misfolded proteins in cells due to a mutation in the TTR gene. This effort is aimed at encouraging early genetic testing to aid in the prompt diagnosis of the disease. The company also recently added exome sequencing and interpretation services to its offerings, increasing its total test menu to more than twenty thousand genes. These types of expansions will continue to keep revenue growth sizzling. The current consensus calls for nearly a 150% rise in sales this year for Invitae and revenues are expected to double in FY2018 as well. 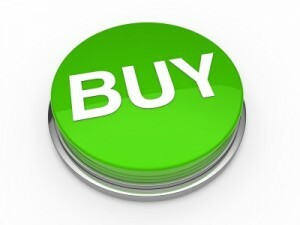 Is it any wonder, analyst firm Benchmark lifted its price target on Invitae from $11 to $16 last week? I expect other analysts to follow. And those are a few solid growth names in a market that are seeing the best profit growth in many moons. With not even a month of being president under his belt, Donald Trump has shown America that he is a man of action. Whether you support his policies or not, at least make some money by investing in the fact that President Trump plans on fulfilling every promise he made on the campaign trail. And, the biggest campaign promise that President Trump made was investing $1 trillion in America’s infrastructure. Investors stand to make upwards of 285% gains by investing into this specific construction stock that can almost triple in size by taking advantage of the coming infrastructure boom. 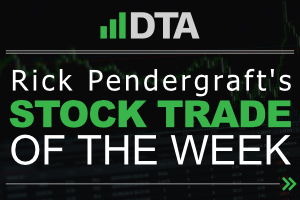 Find out all the details and why you must own this stock before March 15th in Bret Jensen’s new report “The One Stock You Want to Own to Cash in on Trump’s $1 Trillion Infrastructure Boom”.